In a letter to the Chief Election Commissioner (CEC), Election Commission of India (ECI), Delhi, several political activists, including Magsaysay award winner Sandeep Pandey, have objected to the Chief Electoral Officer (CEO), Telengana, offering Form 6 for deleted voters, which they say is “meant for new voters that has self-declaration clause under s.132 of Representative of People’s Act (RPA), invoking punishment if already has been in the voter list at least once. The National Fishworkers Forum (NFF), apex body of fisherfolks' organizations, has said that the Government of India, by giving the cabinet approval to the Coastal Regulation Zone (CRZ) Notification 2018, has turned a deaf ear to the protests and objections raised by the thousands of fishing communities, concerned organisations and individuals from all around the coast and the country. "The sole purpose of the Government of India in drafting and approving the CRZ 2018 Notification has been to pave way to further sell off our coastal land and water to corporate and business houses by removing restrictions on constructions and activities detrimental to coastal natural resources", it said. 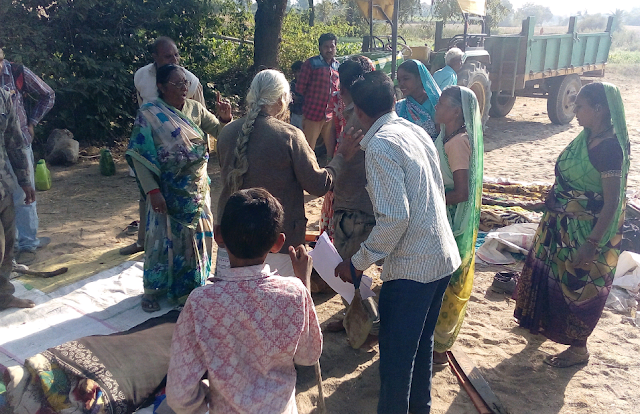 Narmada Bachao Andolan (NBA) women activists on Friday succeeded in putting a stop to tree cutting spree, going on in a village near Indore city in Madhya Pradesh. This followed a complaint they lodged with the forest official about chopping of trees in village Nandgaon. The official called for contractor, who was involved in indiscriminate tree cutting in this village of Narmada valley over the last 15 days. The contractor would bring with him three tree cutting diesel machines and other equipment and 12 labourers from Dewas district, chopping off, among others, 50 to 100 years old trees. "He must have transported more than 80 quintals of wood out of the village in the last 15 days", an NBA source said, adding, "Thousands of quintals of wood have been cut in other villages of the valley. Green cover of the Narmada valley has been hit badly." Hyderabad-based NGO Confederation of Voluntary Associations (COVA) has begun a new project #CHECKIT to address and counter fake news in order to sensitize and educate people to delink the perceived legitimacy of all printed word and broadcasted messages, and also to verify veracity before accepting and forwarding messages to others, especially on social media. Partnered with faith groups, educational institutions, newspapers, TV channels and organizations working with communities to leverage their outreach to thousands of people on a regular basis to propagate about the phenomenon and dangers of fake news, the project seeks to encourage people to speak and publicize decoded statements, photos, videos etc., and share them to expose fake news. 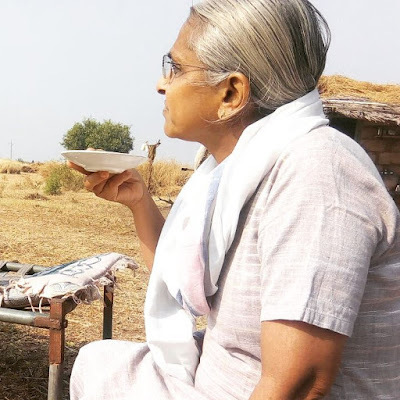 Thanks to active intervention of the Gujarat Lok Samiti, a Gandhian civil rights organization, and its leaders Nita Mahadev and Mudita Vidrohi, a salt factory situated in Jarvala village in Patdi taluka of Surendranagar district, Gujarat, allegedly causing immense harm to environment, land and water has been closed. Running for many years, a statement by Mahadev says, the factory caused the people of the village immense problems, with serious consequences to farming and land and water pollution. People of the village tried to find a solution to this in different ways, but to no avail. Three months ago, the statement adds, the villagers contacted the Gujarat Lok Samiti. Mahadev and Vidrohi tried to understand the situation by doing an on-the-spot inquiry. They found the situation very serious.Citing various studied, including Supreme Court verdicts, people, with the help of the civil rights organization, began negotiating with the Gujarat Pollution Control Board (GPCB). 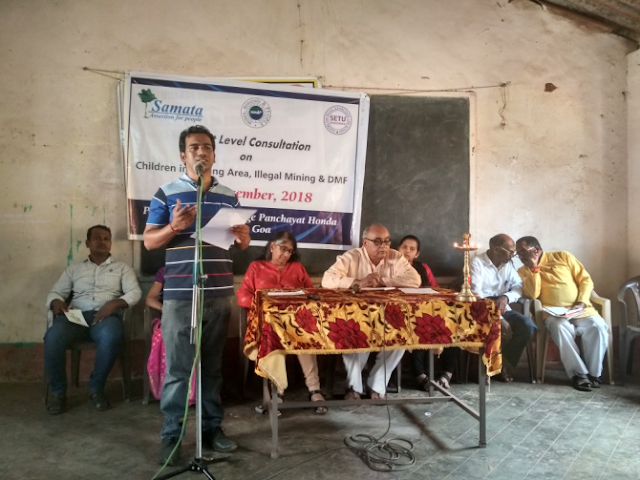 As many as 70 children of Sonshi village and other neighbouring villages in Goa have allegedly “stuck” in their homes and are “unable to go to school”, as mining companies after the mining operations came to a standstill following a Supreme Court order. No transport is available to these children to go to school, as roads are “inaccessible due to mining dumps placed near Soshi and other villages. 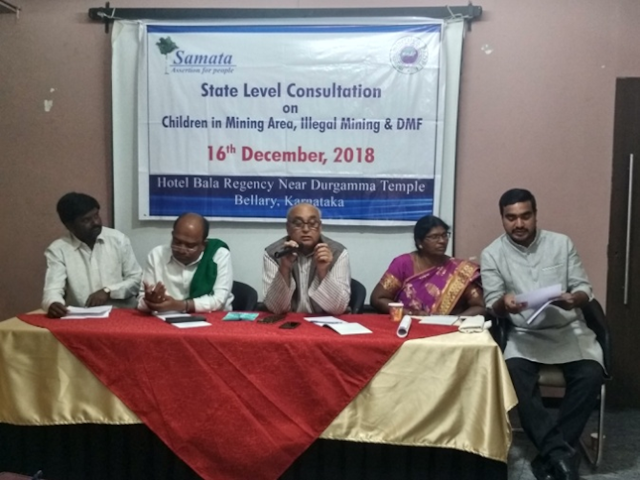 The issue came up for discussion at a district level consultation on Children in Mining Area, Illegal Mining, District Mineral Fund (DMF) and Future Generation Fund, organized by civil rights organizations Samata, mines minerals and people (mm&P) and Setu at Honda Panchayat, Sattari, Goa on December 22, 2018. Gujarat's civil rights organization, Minority Coordination Committee (MCC), has strongly protested against the Gujarat government decision to hold government functions on December 25, 2018, which happens to be Christmas. In a letter to Gujarat chief minister Vijay Rupani, MCC convener Mujahid Nafees has said December 25 is the day on which Lord Jesus Christ was born and government programmes have been organized "deliberately to undermine the great occasion for the Christians." Greenpeace decides to work with skeleton staff following ED raid: Climate change will "suffer"
Greenpeace India said it has decided to reduce its "core strength" to 20-25 people following the Enforcement Directorate’s freezing of its accounts. In a statement, Diya Deb, its Campaign Director, said, “We do not understand the reason for this continuous and relentless harassment against the organisation. This is not an attack on just Greenpeace India, but on the choices of thousands of Indians, who are supporting the fight against climate change." Greenpeace India’s bank accounts were frozen following a raid by the Enforcement Directorate at the organisation’s Bangalore office on October 5, 2018. 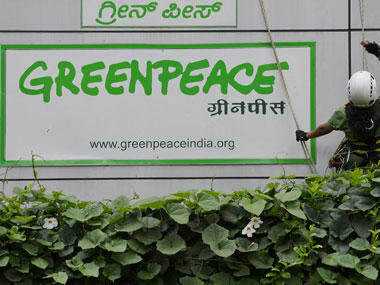 On November 5, the Karnataka High Court ordered the ED to expedite the investigation against Greenpeace India and allowed the organisation to access its accounts on furnishing a bank guarantee of Rs 50 lakh. A memorandum by the National Inquilabi Dalit Adivasi Forum's Dr Anup Shramik to the district magistrate and superintendent of police regarding the recent death of two labourers due to gas leakage in the sewer of Chawkghat in Varanasi on November 10, 2018 says that, even more than a month after the incident, no concrete action was taken by the administration to nab those responsible for this. "A very weak FIR was filed by the administration against the guilty. It does not even refer to the anti-atrocities Act or manual scavenging abolition Act. There is no mention of the third person who was injured. As a result, till now,the injured person has not received any compensation or any help for treatment. He is being intimidated, instead, by the culprits", Dr Shramik says. Information obtained under the Right to Information (RTI) Act has shown that, under the chairmanship of Prime Minister Narendra Modi, the selection committee of the Lokpal met for the first time only in March 2018 -- more than 45 months after the BJP came to power. Minutes of the meetings of the Lokpal selection committee were sought under the RTI Act. However, the minutes of the six meetings of the selection committee held between March 2018 till date have been denied by the government saying that the committee includes “high level dignitaries” and therefore the minutes are a “secret document”. The Department of Personnel and Training (DoPT) stated: “As regards the minutes of the meetings it is submitted that the authorship of such documents which include 3-5 high level dignitaries does not vest in the DoPT”. DoPT has not cited any exemptions allowed under the RTI Act, says Anjali Bharadwaj, a senior RTI activist. 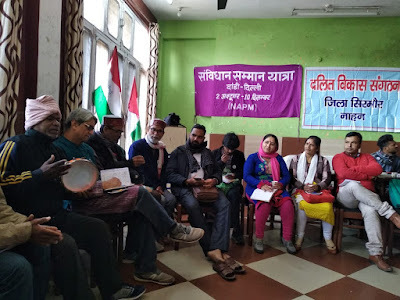 A Roundtable Meeting with Parliamentarians and political parties, organised by the Right to Education Forum (RTE Forum), along with the Campaign against Child Labour (CACL) and Alliance for the Right to Early Childhood Development, saw participants demand a “Mahagathbandhan” among political parties on education. 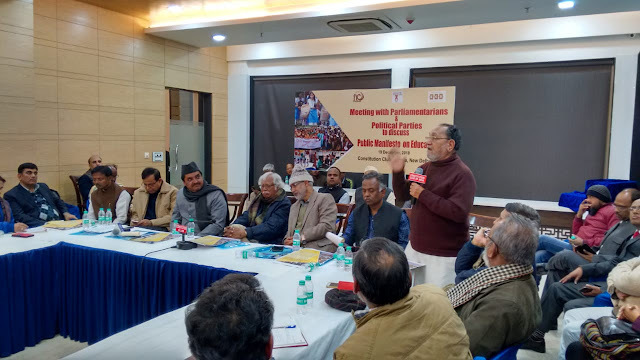 Held at the Constitution Club of India, the meeting put forward the demands listed in the RTE Education Manifesto, collaboratively developed by these three networks, for their inclusion into the probable election manifestos of various political parties for the forthcoming general elections in 2019. Maharashtra Housing and Area Development Authority (MHADA) president Uday Samant, a Shiv Sena MLA, has sanctioned the proposal to allot 300 houses to the residents of Mahul, Mumbai's toxic hell. The allotment of houses by MHADA "disapproves" the Maharashtra government stand in the Court about non availability of alternative houses, Mumbai's civil rights organization, Ghar Bachao, Ghar Banao Andolan (GBGBA) has said. However, GBGBA points out in a statement, the Mumbai Metropolitan Region Development Authority (MMRDA) and the Slum Rehabilitation Authority (SRA), falling directly under Chief Minister Devendra Fadnavis, have "still not found out time to take decision on the matter involving the lives of thousands of residents." High level of toxicity in Mahul has reportedly caused the death of 150 people since 2015. Two people died this week -- one of cancer and the other due to heart attack. They were healthy before forcefully shifted in Mahul last year. 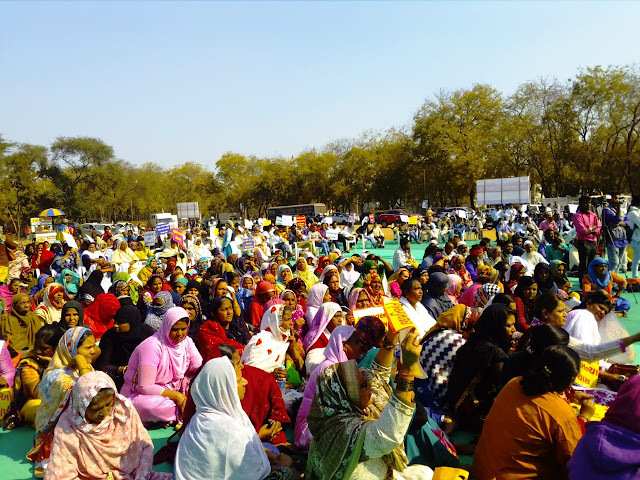 The civil rights organization, Minority Coordination Committee (MCC), organized a mass rally in Gandhinagar on December 18, which happens to be the International Minority Rights Day, in order to press for the “basic demands” of the minorities, who form 11.5% of Gujarat’s population. Organized at what has informally come to be known as Satyagrah Chhavani (cantonment) in the state capital, the rally sough to highlight the fact that there is no separate allocation for minorities’ welfare, nor is there any minority affairs department or state minority commission to take care of their rights. In a unique event, Hyderabad NGO Confederation of Voluntary Associations (COVA) in association with the Indian Children’s Action Network (ICAN) displayed project works prepared by students on different social issues. COVA in a press release said, the objective of the programme was to sensitise people, especially school, college, university students and young professionals to social issues and concerns to inculcate in them compassion and responsible citizenship. Students displayed project works not covered in their syllabus, such as cleaning up government hospitals, importance of public transport, child safety, fake news and problems poor parents face in educating their children. In all 220 students from 31 schools worked on project works. 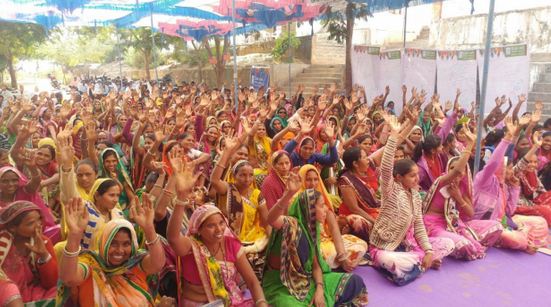 The 16-day campaign on ending violence against women, launched by Utthan, ended with district-level programme organized in Dahod, Mahisagar and Bhavnagar districts on December 10 and 11, in which 1,500 delegates from 50 villages (including sarpanches, panchayat members, local leaders, and women) participated. 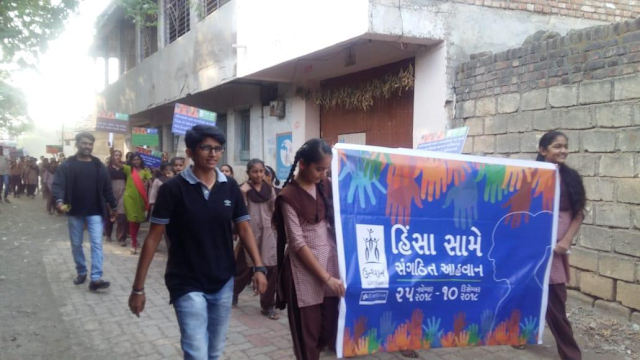 During the 16-day campaign, more than 12,500 people from 50 villages of Dahod, Mahisagar, Bhavnagar and Amreli districts participated enthusiastically. 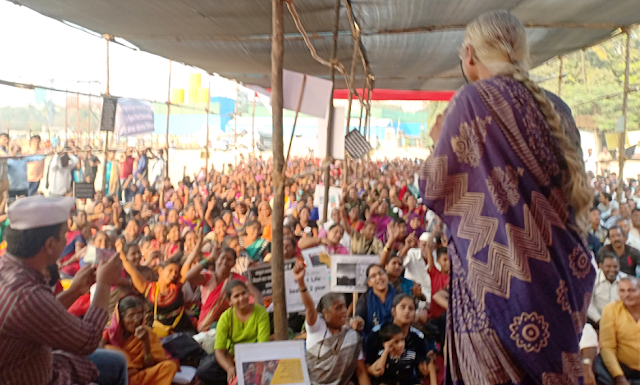 Conducting the campaign, Utthan activists apprised people that violence against women and children in the country has been increasing steadily over the past few years. There has been an 83% increase in the incidence of violence against women between 2007 and 2016, which is worrying. 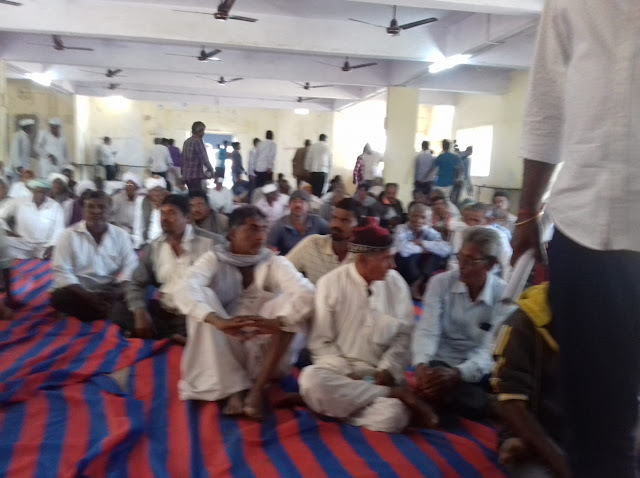 Around 30 organizations working with agricultural labourers, farmers, tribals and women farmers, who gathered at the Sardar Patel Smarak Bhavan, Bhadra, Ahmedabad, discussed issues like debt eradication, crop insurance, irrigation and drought, affecting Gujarat farmers. They also discussed issues related with forest land rights, tribal council, use of ST plan funds, PESA Act, mining etc.in tribal areas. Issues of saltpan workers, fisherfolk and farm labourers also cropped up during the meet. The meeting decided to oppose the Vibrant Gujarat summit, even as focusing on how it runs against society's interests. 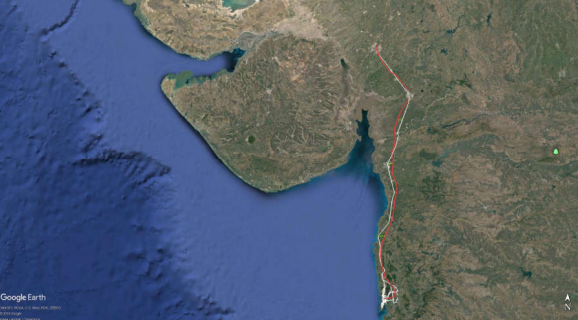 A programme of action was chalked out to hold a foot march from Karamsad to Gandhi Ashram, Ahmedabad, from January 9 to 11, 2019, three days ahead of the summit. It was also decided to hold meetings on the same lines in Bhavnagar, Rajkot, Sabarkantha, Surendranagar, Bharuch and Ahmedabad districts. A civil society-supported public hearing has been organized for Thursday, December 13, for the Particularly Vulnerable Tribal Groups (PVTG) from all over Manika Block in Latehar District, Jharkhand, in order to empower them to help make them aware of their right. All PVTG families are entitled to Antyodaya cards, and in Jharkhand they are also entitled to a social security pension. A NREGA Sahayta Kendra statement, ahead of the public hearing, said, "Because their traditional livelihoods have declined, these entitlements are critical lifelines for PVTGs", adding, "A recent survey in Manika, however, reveals that many PVTG families are still deprived of pensions and food rations. Further, they are struggling with numerous problems related to Aadhaar, such as freezing of bank accounts, refusal of school admission and delayed NREGA wage payments." 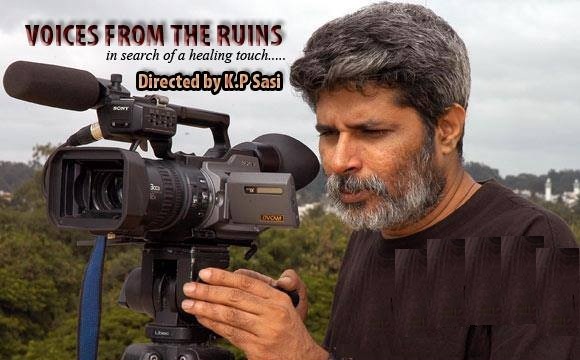 KP Sasi, a Bengaluru-based human rights activist, writer, cartoonist and film maker, has regretted that a Christian priest tried to stall the screening of their documentary, `Voices from the Ruins' in a Church in Pune, even though the film, according to him, was on the largest attack on the Christian community during the last few centuries. In an email alert, circulated through Dalit Media Watch, Sasi says, "I did not have much space to talk. That was fine. The pastor who organised the screening spent more than one hour shouting `Hallelujah' on top of his voice. And I was sitting behind the crowd wondering why the hell did I make this film. The film was on the persecution of Christians in India. But I was a total failure in communicating." Syed Mujtaba, a well-known human rights defender from Jammu & Kashmir, has said that the Kashmiris are sandwiched between the unstable political relations between India and Pakistan, insisting, "For greater peace of the South Asian region, political issues should not be allowed to derail the South Asian South Asian Association for Regional Cooperation (SAARC) summits nor it should be held hostage to the bilateral relations between India and Pakistan." Mujtaba said this even as India declared New Delhi will not participate in SAARC summit, to be hosted by Pakistan, till Islamabad does not stop terror activities in India. Sushma Swaraj, external affairs minister, said this in reaction to Pakistan's statement that Modi would be invited to the SAARC summit. As many as 15,000 people are claimed to have marched in Brisbane, Melbourne, Sydney and Cairns demanding that permissions to Adani’s mega coal mine in Australia be withdrawn. 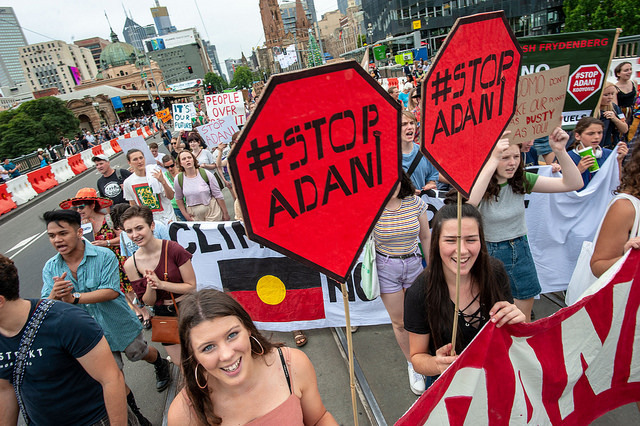 Responding to Adani’s announcement that it would start work by Christmas, and led by school students and first nations people, snap marches took place in the four cities. Meanwhile, a new national ReachTel poll said that eight out of 10 Labor Party voters want to #StopAdani, while nine out of 10 Labour Party voters support students’ right to demand climate action. The marches come after thousands of school students walked out of school last Friday around the nation to demand urgent climate action, as bushfires raged across the country and two states continued in the drip of crippling drought. 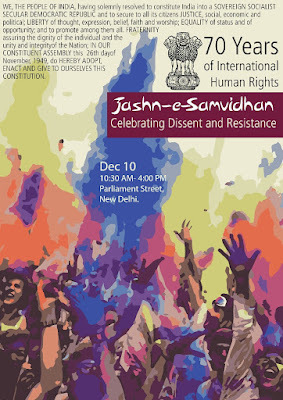 The National Alliance of People's Movements (NAPM) has decided to observe December 10, 2018 as Jashn-e-Samvidhan in order to "celebrate" dissent and resistance. 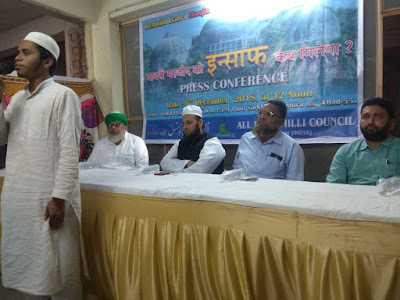 Giving reason, NAPM, calling for widest possible support for the event, says, "Our country is currently being ruled by an extremely conservative and communal government." Planned on the occasion of 70 years of International Human Rights at Parliament Street, New Delhi, it adds, "Institutions of governance are being weakened systematically and independent institutions are under stress from the ruling government to bend their laws in their favour." Strongly objecting to what he called "police terror" in Ahmedabad, Gujarat's top Dalit rights leader Jignesh Mevani has said that cops of the city's Kagadipith police station "tied Dalit youth named Umesh Solanki with a tree till they became unconscious", recalling, "We remember what Modi had said -- it you want to attack, attack me, not my Dalit brothers." In a statement, Mevani said, "I appeal to the Dalit brothers of entire Gujarat and others, too, that these atrocities in the BJP regime should be answered in 2019" even as demanding "strict legal action against the policemen who attacked our innocent brother." He added, "Even if this person of a Dalit community is involved in any illegal activities, the police have no right to take the law into its own hand." Results of the Consumer Confidence Survey (CCS), carried out by the Reserve Bank of India (RBI) for November 2018, suggest that growing pessimism on general economic situation and employment scenario. Conducted in 13 major cities – Ahmedabad, Bengaluru, Bhopal, Chennai, Delhi, Guwahati, Hyderabad, Jaipur, Kolkata, Lucknow, Mumbai, Patna and Thiruvananthapuram - RBI said, "Future expectations index (FEI) also moderated due to lower optimism on the employment scenario and household spending." 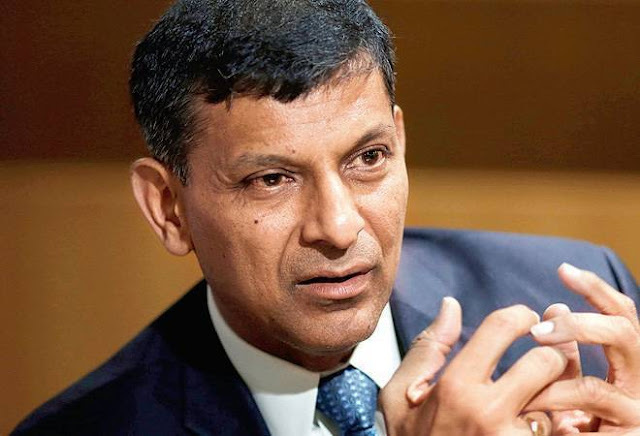 Based on 5,326 responses on households’ perceptions and expectations on the general economic situation, the employment scenario, the overall price situation and their own income and spending, the survey results show, to quote RBI, that the current situation index (CSI) "declined further in November 2018 in a phase that commenced in November 2016, on the back of growing pessimism on the general economic situation and the employment scenario as also some cutback in spending." Student-led marches are being planned across Australia for Saturday, December 8, in response to the "breaking news" that Adani will start work on their mega coal mine before Christmas. Students have invited adults to join them. To attend, with signs, banners and chants, a media alert said, the marches will take place in Melbourne, Sidney, Brisbane and Cairns. In a representation to Gujarat chief minister Vijay Rupani, the Dalit rights organization, Gyati Nurmulan Samiti, has demanded that only scheduled caste (SC) and scheduled tribe (ST) lawyers, selected through Gujarat Public Service Commission (GPSC) examinations, should be appointed as special public prosecutors in order to take up anti-atrocity cases. Signed by co-conveners of the organization, Rajesh Solanki and Sanjay Parmar, the representation added, these special public prosecutors should be provided with all the necessary facilities to fight such cases, which are run in special courts. Taking a serious view of vacancies in the Central Information Commission (CIC), the Supreme Court has expressed its concern regarding the status of functioning of CIC, asking the Government of India (GoI) to file a status report within one week and scheduled the next hearing on December 13, 2018. During the hearing on December 3, the petitioners, Anjali Bhardwaj, Lokesh Batra and Amrita Johri, pointed out that at present there were eight vacancies in CIC, including that of the Chief Information Commissioner, and the backlog of appeals/complaints had risen to more than 26,000. 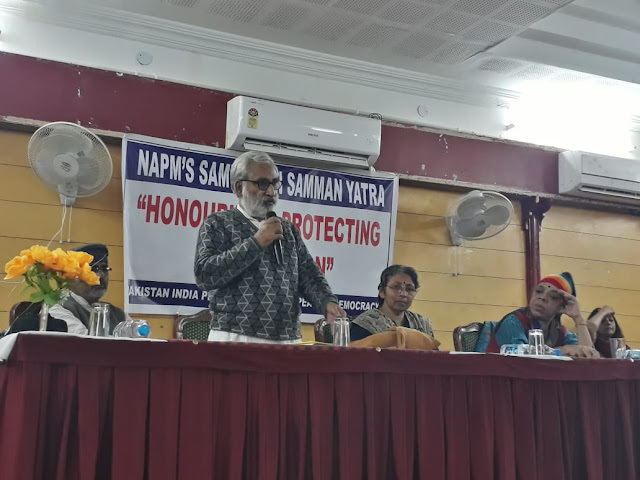 In its third and final leg, the Jammu & Kashmir (J&K) chapter of the Pakistan-India People’s Forum For Peace and Democracy (PIPFPD) hosted the National Alliance for People’s Movements (NAPM)-sponsored Samvidhan Samman Yatra, which aims at honouring and protecting the Constitution. The yatra reached Jammu after covering over 30 states across the country, and will end in Delhi on December 10, the international human rights day. In her welcome address, peace activist, PIPFPD national executive committee member and Executive Editor of the Kashmir Times Group of Publications, Anuradha Bhasin Jamwal, delineated the imminent dangers to the basic spirit of Constitution and rights conferred upon all citizens, irrespective of their caste, creed, colour or religion, from fascist forces. She said there should ben anall out efforts to protect human rights from onslaught by fundamentalists patronized by the ruling dispensation. 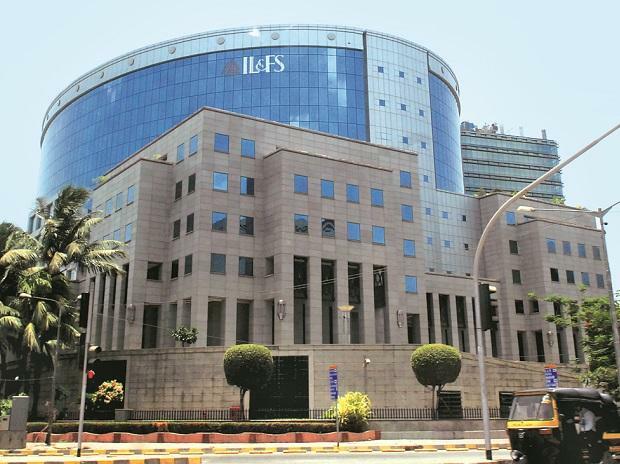 An Indian Institute of Management-Ahmedabad (IIM-A) survey has said, as of October this year, nearly 2/5ths of the firms in its sample reported that sales are ‘much less than normal’ in October 2018. "This proportion has sharply increased in this month from its average of around 30% observed during the last 4 months", the IIM-A survey says. The survey further reveals that 47% of the firms in the sample in October 2018 indicated ‘much less than normal’ profit margins. "Proportion of firms reporting ‘normal or above normal’ profit has remained unchanged at around 30% for the last 4 months", it adds. At the same time, the survey results show, the proportion of firms perceiving significant cost increase has slightly come down to 34% in October 2018 from 38% reported in September 2018.